Danish logistics group DSV confirmed plans to acquire Switzerland-based Panalpina. 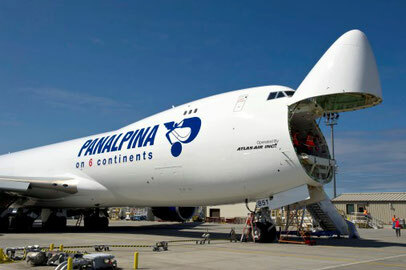 The company confirmed an indicative and private proposal to Panalpina’s Board of Directors. It can be assumed that Panalpina’s shares will rise steeply today after the intended DSV move was made public by the Copenhagen-based company. According to the DSV release, the consideration consists of 1.58 DSV shares and CHF 55 in cash for each Panalpina share. Based on closing prices as of 11 January 2019, the value of the offer is CHF 170.00 per share (€150.00). “We have not yet received a response to our indicative and private proposal from Panalpina’s Board of Directors,” states DSV in a release aired today (16 January). The indicative proposal will provide Panalpina’s shareholders with a premium of 24% to Panalpina’s closing share price of CHF 137.5 as of 11 January 2019 and 31% to the 60-day VWAP of CHF 129.5 as of 11 January 2019, announces DSV. Should the intended takeover be successful it will shake up the global logistics industry and intensify the struggle for market shares.